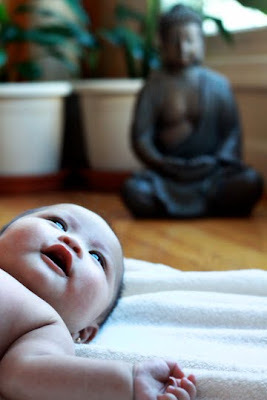 Baby being watched over by Buddha, from a photo shoot this afternoon. 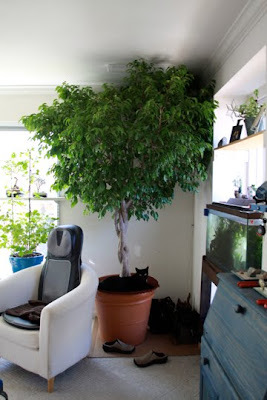 And to elaborate on the post about Lucy and the Ficus tree, here's a photo that gives a better view of how big the tree is. Lucy is laying by the trunk.